Very Good. An Irish Country Courtship (Irish Country Books) by Taylor, Patrick, 2014-06-03. Mass market (rack) paperback. Glued binding. 492 p. Irish Country Books, 5. Very Good. 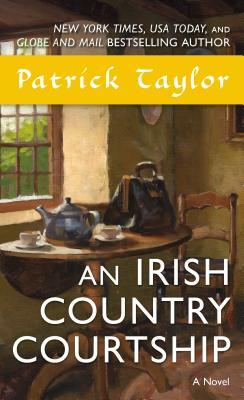 An Irish Country Courtship (Irish Country Books) by Taylor, Patrick, 2012-01-17. Trade paperback (US). Glued binding. 464 p. Contains: Maps. Irish Country Books, 5. Very Good. Glued binding. Paper over boards. With dust jacket. 464 p. Contains: Maps. Irish Country Books. After less than a year, young Barry Laverty, MB, is settling in to the village, with only a few months to go before he becomes a full partner in the practice. He's looking forward to becoming a fixture in the community, until an unexpected romantic reversal gives him second thoughts.